The H-601 Nozzle is air or steam operated and produces an extremely fine, fog-like atomization. This aspirating Nozzle requires no liquid pressure whatever as the air pressure creates a suction in the liquid inlet which draws the liquid into the Nozzle. 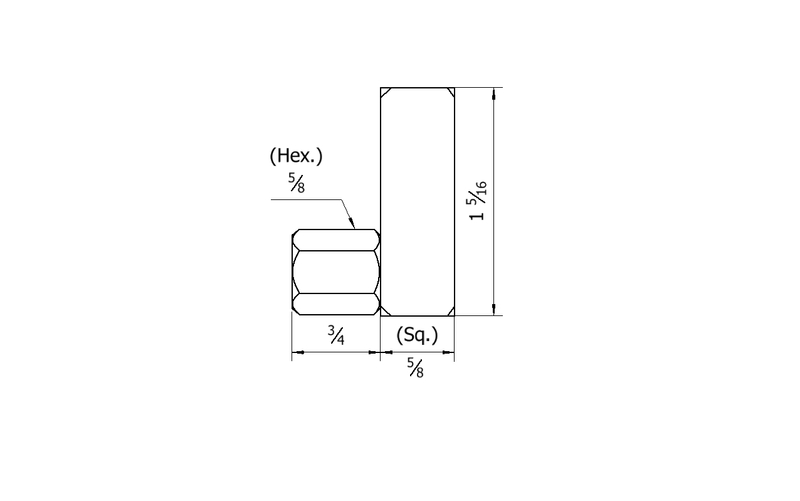 If air is readily available you can, therefore, eliminate the expense of a liquid pump. Increasing the lift distance decreases the flow rate. Due to the absence of small internal openings, this Nozzle can produce very low flow rates without risk of clogging. The H-601 has an unrestricted orifice of 5/64″ diameter. 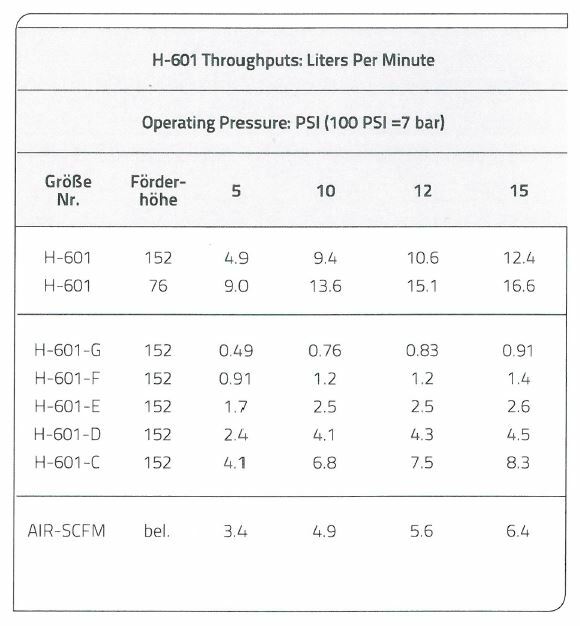 The H-601-C to H-601-G have, in addition, an internal disc with metering slots to produce extremely low flow rates but the openings are relatively low flow rates but the openings are H-601 Water Nozzles relatively large in comparison to these flow rates. Material: Brass or 303 SS on demand. 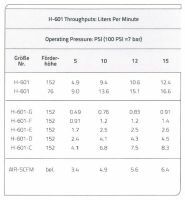 H-601-C to H-601-G Brass only.